Race planning and strategizing for competitions is one of the fun parts of racing, but also one of the biggest challenges, especially as goals get higher and the competition level rises. The more committed you are to high goals, the more risk race day represents, and executing a great plan becomes critical. I tell athletes there are six keys of high performance, and the first three are preparation, preparation, and preparation. The next three are execution, execution, and execution. If you have perfect preparation, and don’t execute intelligently on race day, you wasted the prep. If your preparation has been less than stellar, your plan will have to maximize it, because fitness simply gives us a bigger margin of error to work with when strategizing and executing the race plan. There are an endless number of different strategies athletes can employ in a race, but many athletes hardly give it much thought, just going hard, winging it and ad-libbing as the race goes. This is not an effective way to maximize the investment of time and energy you put into the sport. These are six questions every athlete should ask themselves when trying to choose their race strategy. What are your strengths as an athlete? You should always look for ways to put yourself in a position to exploit your strengths against the competition. If you’re a good time trialist on the bike, but not a good sprinter, you should consider a solo break in your bike race. 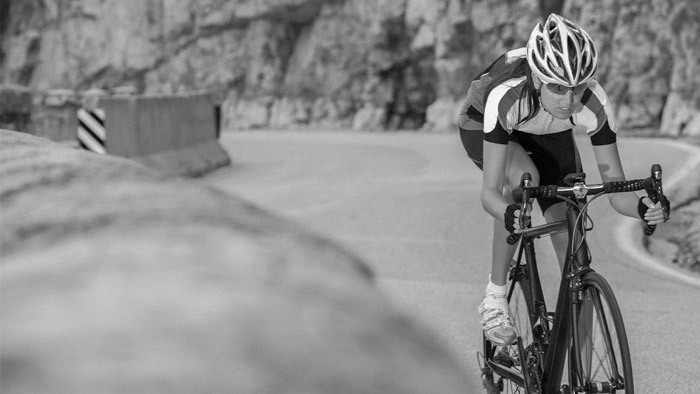 If you’re a triathlete who is a strong runner, then you should be looking at the best way to conserve your energy on the bike and maximize your run split. As important as it is to know your strengths, your weaknesses are something to be mindful of. If the course is hilly with lots of climbs, and you’re not a climber, how will you handle this? If you’re a weak runner in a triathlon, will you attack the bike differently? In my days as an elite triathlete, racing Ironman, I always looked for the most experienced athlete in the race, with a proven track record of success, and tried to shadow them or pay close attention to their moves. I knew their strength would be experience and how to attack a course, and I could use that strength to my advantage. If you’re a cyclist in a crit, staying on the wheels of the best bike handlers helps you. Knowing you don’t want to come down to a sprint finish against a certain foe, helps your planning also. If you’re not studying your competition, you should be. They way to beat them is understand their tendencies and how to exploit those with their weaknesses. In racing, some athletes are mentally weak and can’t handle a little adversity, without their race performance going in the toilet. Others may be bad bike handlers, poor at attacks, poor runners, poor sprinters, weak at starts, or poor at pacing. Use that knowledge! How do the demands of the race course play into your favor or against it? Does the course have a lot of turns which require good handling? Are there very narrow sections where you don’t want to be stuck in the back? Is the course hilly, long climbs, flat, or a combination of all those? If the course favors your strengths, plan accordingly. If not, plan accordingly. Will the climate, wind or other factors affect these? Is the heat one of your biggest enemies? Or are you used to it, training in it all the time? Does this allow you to be more or less aggressive? Will it be super cold, or wet and rainy? What about windy conditions? Will that affect your choices, relative to your strengths and the competition’s weaknesses? Realize that the answers to these questions change with every race, so you should do it before each race. The competition might be different, the course, conditions, your fitness, and race distances also different. Your ability to plan and get better at finding the answers to these questions will be key to getting your breakthrough performance. Lastly, whatever your strategy, if you’re looking for the best strategy for a certain peak event, it is best to test it a few times in a race before, so you can have confidence in it, and be able to tweak it or trash the entire plan. For some athletes, this might even be testing equipment or nutrition strategies that enhance your plan. Answer these questions and you’ll begin to find the best strategies and plans for your racing.